As 2017 draws to a close there's one final Nintendo Download Update, with the European line-up offering some intriguing options on the Switch eShop, in particular. In addition there's some DLC and a nice batch of discounts to consider, so let's get to it. SteamWorld Heist: Ultimate Edition (Image & Form, €19.99 / £14.99) - A fantastic title that previously graced the 3DS and Wii U, it offers a twist for the series with turn-based strategy that's combined with manual shooting and skillshots. It's unique and an excellent game all around, with this Switch version including all of the previous DLC; we sang its praises in our SteamWorld Heist: Ultimate Edition review. Stikbold! 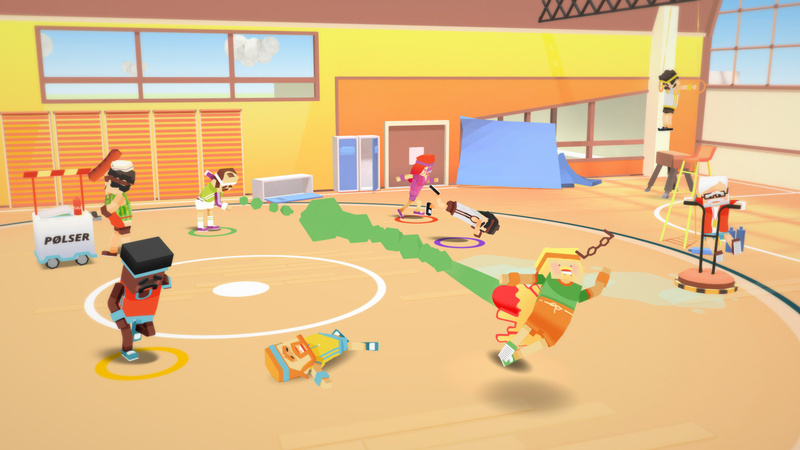 A Dodgeball Adventure Deluxe (Reign Bros, €15.99 / £14.39 until 12th January, then €19.99 / £17.99) - The wacky hybird of sports and action adventure features a wide range of game modes, including a co-op story campaign packed with epic boss fights and a rather silly plot. More interesting is the 6-player multiplayer mode where you and five other friends can each grab a Joy-Con and enter one of six different arenas to do battle. We'll jump in and bring you a review soon. Available from 29th December. 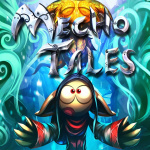 Mecho Tales (Arcade Distillery, €6.79 / £5.99 /until 4th January, then €8.49 / £7.49) - Another Luc Bernard-directed title on the Switch, in this case a colourful action platformer with a distinct visual style. It supports co-op for up to four players and was only a recent arrival on the PS4; unfortunately we weren't particularly impressed with it in our Mecho Tales review. Available from 28th December. 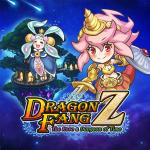 DragonFangZ - The Rose & Dungeon of Time (toydea, €19.99 / £17.99) - This is a turn-based dungeon-crawling roguelike, that's eager to tap into nostalgia with its marketing. A neat twist is that you can 'wear fangs of monsters and gain that ability, with 'more than 200' monster types promised. We'll see whether this is worth an adventure in a review. 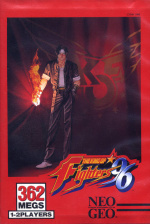 The King of Fighters '96 (HAMSTER, €6.99 / £6.29) - The third entry in SNK's lead fighting series saw some major improvements, namely the ability to fake smaller jumps, a perfect way to trick your opponents and avoid committing your fighter to a precarious situation. You can also charge up your POW bar and execute dodge rolls, nice touches and quite different for the time; naturally this ACA release will have the usual extra options and goodies, too. Arcade Archives Double Dragon (HAMSTER, €6.99 / £6.29) - As part of the Arcade Archives series this is the original coin-op that revolutionised the side scrolling beat'em up genre by offering two player cooperative gameplay. A fun fact: this is the first Technōs Japan-developed / Taito-published title to be released as part of HAMSTER's archives series on the Switch. 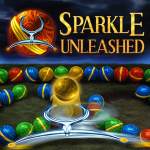 Sparkle Unleashed (10tons, €7.99 / £6.99) - The second in this series to arrive on the Switch, it's a match-3 marble shooter; it promises 23 power-ups, 108 levels and a survival mode. Tactical Mind (QubicGames, €2.99 / £2.69) - It looks rather crude, but this tactical board game (that seems to be a blend of checkers and chess) may have some appeal in its gameplay and strategy. It has a single player campaign and 14 different maps for multiplayer. Energy Cycle (Evgeniy Kolpakov, €2.99 / £2.69) - Rather simple visually, this is all about changing cell colours to force matches, though every time you change a cell it also affects those around it. That's everything for this week - let us know what you'll be downloading in the poll and comments below. nothing for me this week? Why no ACA Double Dragon in the US this week? We love violence! Not a whole lot going on this week. If ever there was a "nothing for me this week" voting option needed, this is the week. @crackafreeze Looking forward to it. Very nostagic game for me. Used to play it in a convenience store in the 80s. Already grabbed SteamWorld Heist. Played it a lot on 3DS but it's so good that I look forward to going through it again. Not a lot else this week, but that's fine as I have too much already. This is the weakest week we've had in a while... but my wallet is grateful! @ANGRYBALDMAN666 I can only find the game on my watch list right now, and trying to buy it brings up an error message. SteamWorld Heist is brilliant, but I've too much else to play to double-dip. For 3DS owners, I have very fond memories of Gurumin on my PSP. When is Doki Doki coming to Switch? Double dragon for me, spent far too much time and money on this in Rhyl 30 years ago! @Eddyson Is that a question? @SLIGEACH_EIRE But then we wouldn't get a load of informative "nothing for me" comments below the line. I was going to buy Double Dragon but someone mentioned the slowdown is really bad. I don't recall much slowdown but that was 30 years ago I played it. After checking some reviews of Hamster's PS4 port it seems the slowdown is still in there and ruins the experience . From watching some gameplay videos it's pretty bad and is consistent throughout the game whenever there's more than a couple of sprites on screen. I understand they want to faithfully recreate the games as they were back then but slowdown was never fun and can be fixed simply by adding a code into the ROM. They should at least give an option to turn it on or off. Unless the Switch port has been fixed, which I doubt, I'll be giving this classic a miss. Shame! Slow down on DD you say! I'll avoid then! Any update on purchasing DD in the UK? I’m not bothered about the slow down, have very fond memories of this in the local chippy and then buying the C64 version and being horrified it wasn’t the same game!! Been looking forward to buying ACA Double Dragon since it was announced. Shame it seems to have disappeared from the eShop?! As mentioned the game is currently only visible in my wish list. Error message when attempt to purchase. May have to wait until New Year now as the little gaming time I have will likely be dictated by entertaining family preferences. Never mind, as long as Double Dragon does indeed arrive soon it will be a amazing way to kick off my 2018 gaming. I play as many retro titles (if not more due to their shorter length) as I do shiny new stuff. Aside from DD I'll likely try the demo available. I tend to grab any and all of them - my son is more than happy to spend time with a game demo, lol! double dragon has been delayed to next year. no real reason was given why or when the new release date will be. Think I’ll pick up Tumblestone for Wii U. Was waiting for the physical release, but hasn’t heard any news on that front. 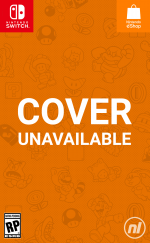 I just checked the Nintendo site for info on Gurumin, and it still says full price. Is there an error on the site or in this list? 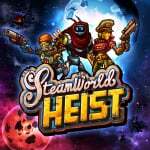 I got SteamWorld Heist plus DLC on Steam this week, so I don't think I'll be going for the Switch version. At least for now. Stikbold and DragonFangZ look interesting. I have SteamWorld Heist on Wii U but would buy a Switch retail collection. Double Dragon is not out yet - now it's completely erased from the eShop instead of being out today. Probably delayed / last-second emulation-issues. 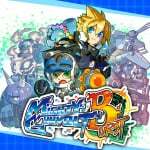 Also checking out Mighty Gunvolt Burst and last weeks Dark Witch: Music Episode Rudymical demos. 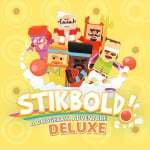 I'm heavily biased here because the guys at Game Swing are close friends of mine (and all of NapNok Games for that matter), but I cannot recommend Stikbold enough, especially if you are looking for a fun game to play against friends in local multiplayer. Steamworld Heist for me. Never played it. YAY something different from Hamster, not another bloody Neo Geo Fighter game! Think i'll have to grab Gurumin 3D at that price !